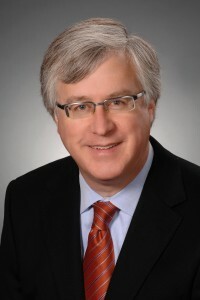 Paul Schabas is a litigation partner at Blake, Cassels & Graydon LLP in Toronto. He has a wide-ranging trial and appeal practice, with extensive experience in commercial litigation, arbitrations, white collar criminal and regulatory matters, constitutional, media and public law. He frequently acts for Canada’s major media on defamation and free expression matters and has been counsel on many significant Charter and human rights cases. Paul has appeared many times before the Supreme Court of Canada. He has also been active internationally, submitting briefs on Canadian law to the European Court of Human Rights, and representing indigenous Mayans seeking to protect their land in Belize. Paul is an elected Bencher of the Law Society of Upper Canada, a Fellow of the American College of Trial Lawyers, Past President of the Canadian Media Lawyers Association and Past President of Pro Bono Law Ontario. Paul is a Trustee of the Law Foundation of Ontario, and a Director of the Canadian Civil Liberties Association and The Osgoode Society. He is a former Director of Family Service Toronto and the National Youth Orchestra of Canada. Paul is an Adjunct Professor at the University of Toronto Faculty of Law, and previously taught at Osgoode Hall Law School. He has published numerous articles and frequently speaks on media, Charter and other issues. Paul holds a B.A. and LL.B. from the University of Toronto and was called to the Bar of Ontario in 1986.